The experienced yachtsman said: “It’s an absolute honour to be named as the Unicef Skipper for the Clipper 2017-18 Race. long way in highlighting and helping to resolve the many dangerous challenges lots of children around the world face every day; violence, disease, hunger and the consequences of war and disaster.”, said Mike Penrose, Unicef UK’s Executive Director. 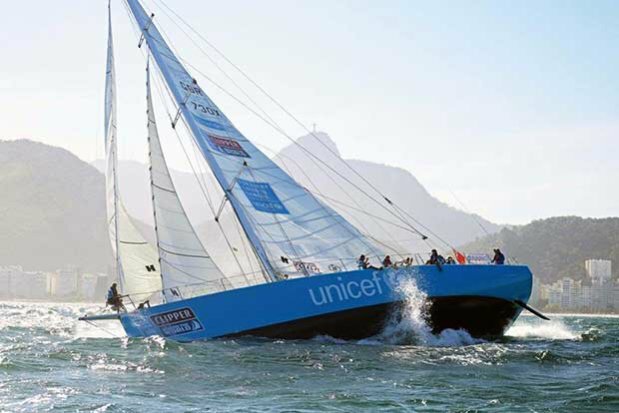 Unicef UK has been the Official Clipper Race Charity since the 2015-16 race, which provided the children’s charity with a literal vehicle to raise awareness across the globe in destinations including South Africa, Australia, Vietnam, China, the US and Panama. The Clipper 2015-16 Race and its supporters raised more than £323,000, helping Unicef protect children in danger, transform their lives and build a safer world for tomorrow’s children. Approximately 700 crew members from more than 40 nationalities are preparing to take part in the Clipper 2017-18 Race and fundraising to help keep more of the world’s most vulnerable children safe from danger has already begun, with an increased target of £400,000. 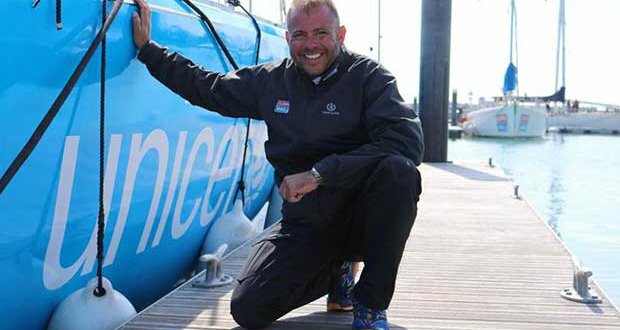 “The Clipper Race enables people to do something amazing, it is a life changing experience for many and in turn Unicef helps change the lives of children around the world,” Tristan adds. Tristan started sailing aged ten, and has spent the past 13 years working as a professional skipper, mate and engineer. During his expansive yachting career, he has developed wide-ranging experience and knowledge of sailing yachts and superyachts all over the world and has numerous Atlantic and Pacific Ocean crossings under his belt. Tristan’s Unicef crew members will be announced at the upcoming Crew Allocation Day, at Portsmouth Guildhall on Saturday 20 May. The Clipper 2017-18 Race starts from Liverpool on Sunday 20 August and will take approximately eleven months to complete. The only event of its kind for non-professional sailors, the race will visit six continents and include six ocean crossings, taking in the Atlantic, the infamous Southern Ocean and the equally challenging North Pacific. Crew can complete the full circumnavigation, or one or more of its eight legs, in one of the toughest endurance challenges. It is without doubt the world’s greatest ocean adventure.